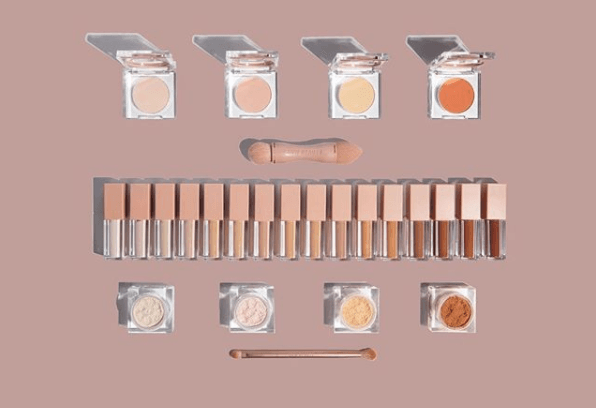 KKW Beauty is launching her new Conceal, Bake, & Brighten Collection on Friday, 3.23! The collection includes a Conclear in 16 different shades for $18 each, Baking Powder with four different shades ($18) and a Brightening Powder ($18) also with four shades. The concealer is a super full coverage liquid formula that is supposed to be creamy and hydrating! The collection will be available in four separate bundles including two dual ended brushes. Doesn’t the packaging of these concealers instantly make you think of the Stila Magnificent Metal Liquid Shadows??? The shape and color is so similar, that was the first thing I thought of! But anyway….. 16 shades on an initial launch?! Hell yeah! We love that. 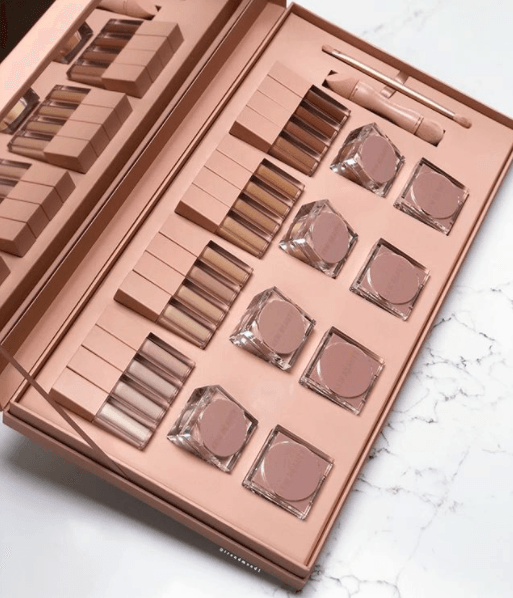 These also claim to be full coverage while remaining hydrating and creamy – is it just me, or does that sound like the description of the most ideal concealer formula ever?? Although $18 is a bit steep for a little concealer, it isn’t toooooo crazy compared to the prices of some other concealers on the market (ahemmmm, Shape Tape which has slowly creeped to almost $30!). 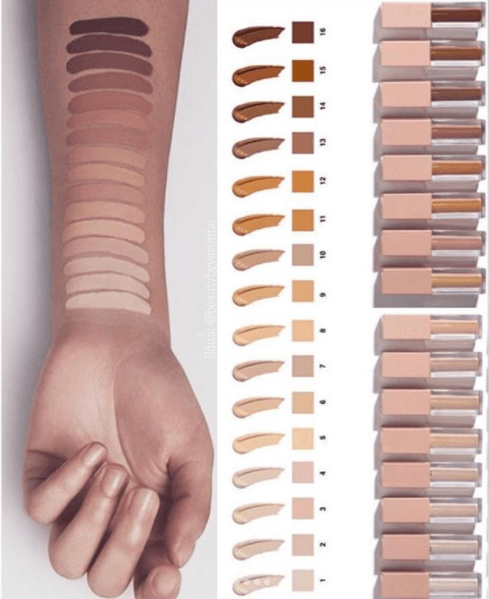 The shade range seems to start super light and end pretty deep while including tons of different undertones throughout. Although the powders look lovely (and we really really love the packaging of those, too!) we totally think the concealers are the highlight of this collection!